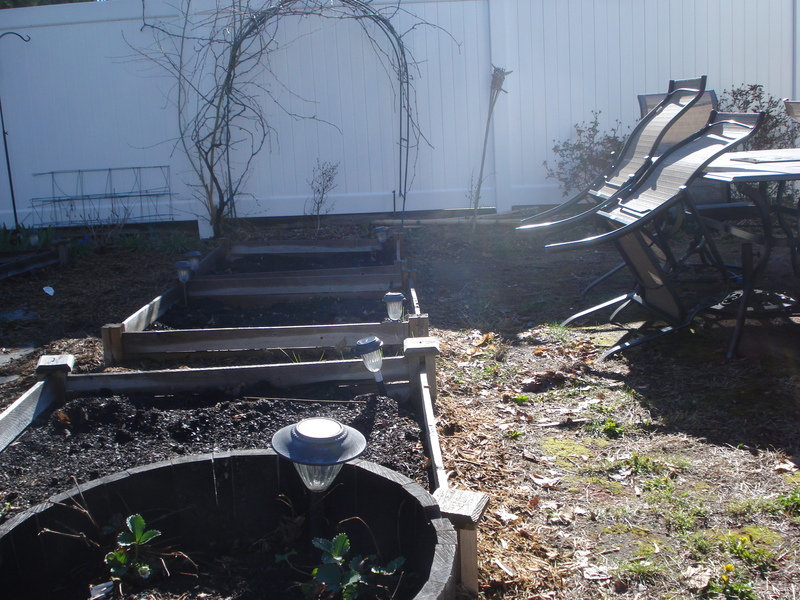 Well, we finally got to work a bit in the yard over the weekend and got fresh garden soil and food into the veggie beds. Also put down some more mulch and raked the leaves out of the flower beds and even put some lettuce seeds in. If you look closely at the wine barrel planter at the front of the picture, you can see my strawberries. Yay! We were certainly tired after a full afternoon of work. And now the rains are arriving so I am very glad we got all that work in. This entry was posted in Gardening, Springtime. Bookmark the permalink.